Following increased pressure on revenue and the expenditure profile, the Federal Government has finally yielded to domestic and international pressures to remove fuel subsidy. 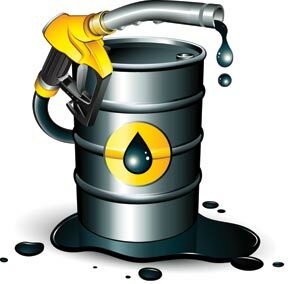 This is coming as crude oil prices hit a seven-year low with global reference crude, West Texas Intermediate and Brent trading yesterday at $34.7 and $36.7 per barrel respectively, effectively disrupting Nigeria’s $38 per barrel benchmark for 2016 budget. The crash has resulted into about N1.45 trillion shortfall in the value of the projected oil output in the international market based on production target increased in the 2016 plan to 2.2 million barrel per day (mbpd), up from actual 1.9 mbpd in 2015. On official exchange rate of N198/ $1 upon which the revenue projection was based, the value of the total budgeted oil output is $35.14 billion or N6.95 trillion but with the latest price development, the output would now yield $27.8 billion or N5.5 trillion. The latest price shock is coming less than a week after the Federal Executive Council, FEC, approved the 2016 Medium Term Expenditure Framework, MTEF, which outlined government’s revenue as well as a deficit budget to be funded largely by the oil income.The 2016 budget is derived from the MTEF which is a three-year fiscal plan. Also, the oil price crash was coming at the backdrop of a warning from ministers in charge of the economic ministries and chief executives of federal parastatals in the economy sector that Nigerians should prepare ahead for what it called more austere conditions in view of the strict economic policies being put in place by the President Muhammadu Buhari administration. The federal executives, who gave the warnings when they appeared before the joint committees of the National Assembly on Finance to defend the 2016, 2017 and 2018 Medium Term Expenditure Framework and Fiscal Strategy Paper, MTEF & FSP, documents presented to the National Assembly by President Muhammadu Buhari are Ministers for Budget and National Planning, Udoma Udo Udoma; Finance, Mrs Kemi Adeosun and State for Petroleum Resource,Ibe Kachikwu; Governor, Central Bank of Nigeria, Godwin Emefiele and Executive Chairman, Federal Inland Revenue Service, FIRS, Babatunde Fowler. To make the warning real, they disclosed that Federal Government would move fuel price from N87 to N97 per litre in 2016 while removing fuel subsidy, lamenting that excess of N1 trillion has been paid for fuel subsidy in 2015 alone. Also speaking, Minister of State for Petroleum Resources, Dr Ibe Kachikwu, who disclosed that with NNPC inclusive, Excess of N1 trillion was paid for fuel subsidy in 2015, with plans to move fuel price from N87 to N97 per litre in 2016 as well as total removal of fuel subsidy next year. On the issue of daily oil production target, Kachikwu said, “From August this year, we have been exceeding two million daily production through stringent monitoring of our production by getting quick fixes to instances of pipelines breaking. The internal projection for our system next year is in excess of 2.4 million which is coming from enhanced and increased production from NPDC field. “A lot of efficiency had really been applied in this regard. NPDC will for instance be producing 300, 000 barrels on its own while other partners would process at least 2.2m barrels. We would address issues of security and other impediments to the realization of our target. We are looking at a collective and holistic handling of security issues between the NNPC and the oil majors with us taking the lead.